John Dickson Carr (30 november 1906 - 27 february 1977) was an American author of detective stories. He was also known as Carter Dickson, Carr Dickson and Roger Fairbairn, and master of the locked room mystery. Between 1947 and 1949, Adrian Conan Doyle gave him access to family papers and he wrote a noted biography of Arthur Conan Doyle published in 1949: The Life of Sir Arthur Conan Doyle. 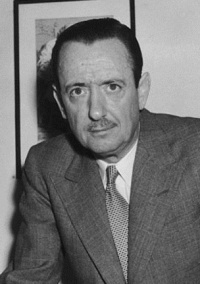 In 1950, his biography earned him the first of his two Special Edgar Awards from the Mystery Writers of America; the second was awarded during 1970, in recognition of his 40-year career as a mystery writer. In 1952-1953, with Adrian Conan Doyle they wrote sherlockian pastiches collected in The Exploits of Sherlock Holmes. 1957 : Another Glass, Watson! (an essay on food and drink in the stories of Sherlock Holmes and Dr. Watson. The essay comprises pages 5-10 in: Catalogue. The Sherlock Holmes: Catalogue of the Collection in the Bars and Grill Room and in the Reconstruction of Part of the Living Room at 221B Baker Street. London, Whitbread & Co. Ltd. 1957. 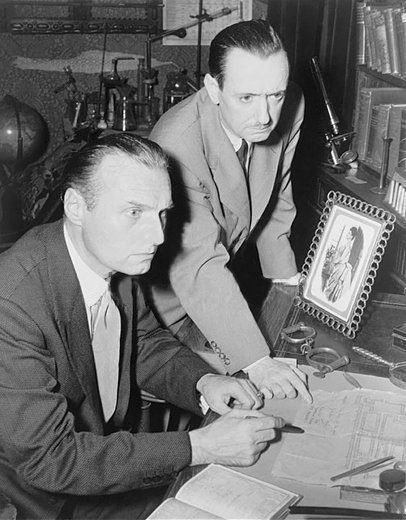 John (left) with Adrian Conan Doyle (1952). 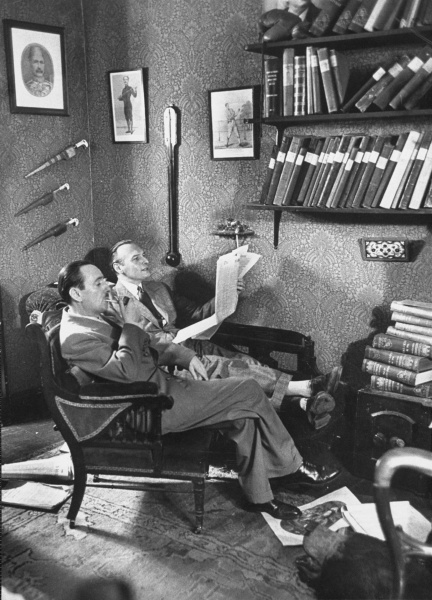 John (right) with Adrian Conan Doyle (1952).